E3 is bringing us all sorts for cool new gadgets to play with, and this time it's Nintendo's turn to announce a new gaming console. The Wii U will be Nintendo's next gaming console and it's not alone. Get ready for the first ever 6.2" touchscreen console controller that lets you take your gaming away from your TV and onto the controller's 6.2" touchscreen. Nintendo has said that the Wii U's controller want designed to be a portable gaming console like the PS Vita for example. 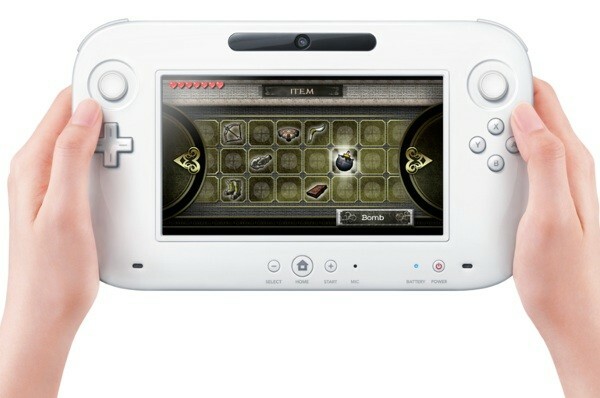 The Wii U will wirelessly stream full HD media and games onto the 6.2" touchscreen controller without lag. It's got a built-in front-facing camera that will let you video chat from anywhere as long as you're on the same network with the Wii U. The Wii U's touchscreen controller features twin analog sticks, a D-pad, four shoulder buttons, speakers, accelerometers for motion control, a sensor strip, vibration feedback and a mic. The best thing about the Wii U's "portable" touchscreen controller is that you don't even need to have a TV in order to game and fully use the Wii U console. I'm sold. The Nintendo Wii U will also be compatible with all existing original Wii accessories and games. Together with an innovative new touchscreen controller, the Wii U packs a whole new and powerful GPU for better graphics matching current-gen gaming consoles and performance and can transmit full HD 1080p video over HDMI. The Wii U is expected to be released in 2012. More details to come.